Tools that can help with all stages of optimization. None of this happens intentionally. Centers typically have one or more tools but fail to use them to their full potential. The root causes are wide-ranging: wrong tool, poor deployment, no integration and lots of manual steps, lack of trained or skilled resources to use them, poor support processes, or not enough time to execute the processes that are defined. In an era where companies compete for revenue based on “customer experience” and for employees based on opportunity and development, it’s past time to solve these problems and prime time to do new and different things. Centers need to put their money, time, and resources where their mouth is and manage center and staff performance and optimization accordingly. Here’s the good news: the market offers plenty of tools that can help with all stages of optimization. Figure 1 shows the range of options based on a process: guiding, assessing, communicating, coaching and developing, and training. Centers routinely train new agents in “crash courses” that cover all elements of contact handling, fully aware of the fact that they will not remember it all. But to paraphrase Einstein, why should agents memorize something they can look up (or be guided through in real-time)?! Tools can help a new agent, and even a veteran, navigate the morass of policies, processes, products and systems. Even though it typically resides outside the workforce optimization (WFO) suite, knowledge management addresses critical elements of performance by providing job aids, knowledge articles and answers to frequently asked questions. Even if it’s SharePoint or an intranet or portal, a good search function can help agents can find the right, bite-sized information and avoid the need to wade through documents, escalate or leave their seats in search of someone in the know. Training can focus on how to find the right information rather than cover all the information. Gamification may even enhance how agents become adept at finding it and offering updates and additions (see sidebar). Process or workflow and scripting tools are another great guide. These may be part of a CRM or specialty tool. We throw out a caution on full “scripting” that can sound rigid or unnatural, but well-designed flows will deliver consistency, compliance, accuracy and efficiency. When an agent does need help, collaboration tools can quickly get them to an escalation queue or subject-matter expert. They may need to access staff within or outside the center. Supervisors, team leads and/or tiered experts could staff a queue, while instant messaging (IM) may provide chat access to a variety of people across the enterprise. As vendors push the envelope on creating true real-time analytics, it becomes another potential navigation tool in the center. If speech or text analytics determines the contact is going off-track or needs to take additional steps, it could prompt the agent to say or do something, or divert the call to a supervisor or expert. Most centers focus on assessing how an agent is doing. Yet they spend too little time reacting to anything they learn. The score becomes the end goal instead of the improvement the scores should drive. So tools for assessing need to be viewed as a means to a different end in the optimization process. The most prevalent tools for assessing are automatic call distribution (ACD) reports, of which there are many. They reveal real-time information such as agent work state, oldest call in queue, or number of contacts backed up. Historical reports similarly shed light on performance for the interval, day, week or month. All this data can be sliced many ways to show how the center, specific queues or groups, or each agent performed. This age-old tool remains important to assessment, now including a variety of media (e.g., email, chat, text/SMS). Quality monitoring (QM) is another common and long-proven tool that now demands multichannel use. Soft skills (or grammar and spelling), processes, systems use, compliance and upsell can all be part of the QM evaluation. 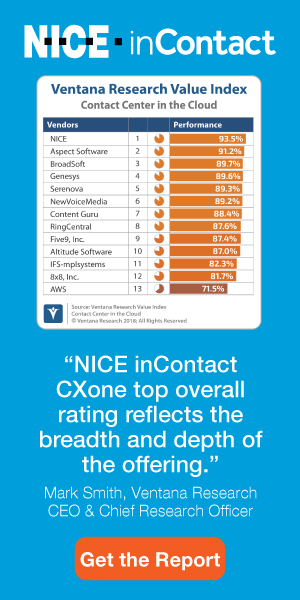 Voice of the customer (VoC) increasingly tags along, but it is wide-ranging in how it’s done and whether it is contact center-focused or part of an enterprise exercise. An IVR interface immediately after the call, or follow up through email, a call or even postcards, can gather feedback from the customer’s perspective. In a perfect world, it is administered selectively and intelligently, occurs soon after contact to tie it to the interaction (and therefore the agent and the contact), and gets compared to the internal performance view that QM presents. Analytics certainly aids in assessing—whether speech, text, desktop or data. It enables drill-down into all that data the various tools create and helps an analyst look for patterns, trends and root causes. No performance management tool screams louder for action based on insights. Assessment is of little value without communicating the results. Each of the assessment tools provides results for a variety of constituents from executives to frontline agents. The communication bears more weight when the recipients have context and are educated on the meaning, importance and impact of the results. “Performance management” (as many vendors call it) or scorecards (real-time) and dashboards (historical) provide a snapshot view to communicate performance. These tools bring in data from multiple systems, and show performance compared to goals and peers, as well as trends over time. Agents, supervisors and other engaged staff can have color coded visuals such as gauges, red yellow green indicators, and up and down arrows that provide an appealing and useful “snapshot” view. A variety of desktop communication tools can play a role as well, including views in the desktop client interface and IM or broadcast messages to the team. These are replacing the traditional wallboards in many centers, with advantages of visibility and accessibility for all. For example, a supervisor may update the team on meeting a goal or a particular challenge today. Portals or intranets (e.g., SharePoint) or CRM communication can provide highlights of important updates that have been disseminated that week. Communication briefs and highlights are far more effective than relying on everyone to read and digest a barrage of emails each day (without allocated time to do it!). A pop up at log in can remind agents of any immediate change that is important for that day. Coaching is perhaps the most critical part of success for agents’ performance, development and retention, but is much too frequently short-changed. Center leaders don’t have or take the time, or lack the structure under which to review performance and provide constructive feedback. Coaching tools can guide leaders, ensure compliance with a program, hold leaders accountable to execute that program, and ensure consistency and proper focus as they do it. Coaching tools use metrics, QM results, and scorecards to identify kudos to deliver and target areas for improvement. They can be used to schedule sessions, track that they are completed, account for the initiatives and goals created, and then close the loop on pursuit of those goals. Templates can ensure that supervisors and team leaders consistently provide the types of messages the center wants to deliver. eLearning helps target things to work on as it delivers training modules that may be remedial (e.g., work on processes, system use, soft skills, etc.) or enlightening (e.g., new products, policies, compliance rules). The best modules are “bite size” (e.g., 5-20 minutes) so agents can start and stop in response to the demands of contact handling. eLearning tools may use surveys or quizzes (and even gamification—see sidebar) to validate understanding. Because coaching and development depend on many other elements, integration is very important (see sidebar). Performance management (PM) bundles generally include coaching with the scorecards and dashboards at least, often incorporating eLearning as well. QM systems can offer up sample contacts and screens to discuss good and bad behaviors and outcomes—across processes and system use. If the center uses gamification or other competitions, these can contribute results as well as incentives in coaching. While new-hire training is often where centers focus, ongoing training is important, too. It clearly ties into the coaching, as noted above. eLearning tools are a key contributor to agent development, whether addressing a gap or performance issue or developing the agent into new skills or responsibilities. As I described in the first article in this series, a Learning Management System (LMS), which is typically an enterprise system managed by HR, can trigger, track, test and report on training. The center must work with HR to configure this enterprise tool to meet center needs or work outside of it. It is not unusual for centers to have a hybrid where some training is managed through the corporate LMS (e.g., system, product, policy) while other training is administered exclusively in the center. As with so many areas of contact center technology, there are many choices of where to focus investments, time and resources in pursing optimization. The first step is to change how you use what you have to get some quick gains. Then, you can identify and fill gaps, adding to what you use. While not as direct and tangible as volume diverted or seconds saved per call, a business case looms based on efficiency gains (e.g., first-contact resolution), revenue, staff retention, and/or the value of improved customer experience (e.g., loyalty, fewer call, etc.). Integration across tools can deliver additional savings through support resource efficiency (see sidebar). As you look at your opportunities, avoid the tendency to think only in terms of individual performance, which can certainly make a difference. Consider insights and actions that will lead to centerwide performance improvements as you “close the loop” in using the sources of information to identify changes needed. From there, you define and pursue additional training, systems changes, and process changes that can have an organizationwide impact. The results will show for frontline agents, their leaders and the customer experience. Too often, optimization tools stand alone. The cause may be budget limitations that only fund one or two tools, leaving supervisors to their own devices to deliver on staff optimization. Or, a center may be lucky enough to have a variety of tools but they were purchased independently, each playing its role in isolation. Feed WFM, QM, VoC, analytics and core ACD data into scorecards and dashboards. For a bonus, incorporate CRM outcomes such as sales results. Integrate WFM with payroll to tie core HR functionality in with the CC-specific needs. Calibrate QM scores against VoC, as well as for one scorer versus another. Track trends and identify changes needed in scoring to address gaps. Plan staff and schedules to make sure training and coaching sessions happen, or to deliver eLearning at the right time (e.g., during low volume periods). Use speech analytics to find the best calls to monitor for quality review. Or use text analytics to do the same for text, emails or chats. Use the results of performance management and analytics to identify training modules to develop and deliver.